(CNN) - Amid the jubilation over the return of U.S. Army Sgt. Bowe Bergdahl, some top Republicans are questioning the tactics used to get him home. While happy that America's only soldier taken prisoner during the wars in Afghanistan and Iraq is being repatriated, they stressed that the United States does not negotiate with terrorists. They warned that swapping American soldiers for Taliban militants sets a dangerous precedent. Together with the announcement that Bergdahl was released after nearly five years of captivity came the news that five detainees at the U.S. naval base at Guantanamo Bay, Cuba, were being transferred to Qatar. Two senior administration officials confirmed the names of the five released detainees as Khair Ulla Said Wali Khairkhwa, Mullah Mohammad Fazl, Mullah Norullah Noori, Abdul Haq Wasiq and Mohammad Nabi Omari. All were being held at the notorious prison for alleged ties to terrorist groups. Rep. Mike Rogers, R-Michigan, chairman of the House Intelligence Committee, was one of the first to speak out, saying he was "extremely troubled" by how the United States negotiated with the Taliban to release Bergdahl. "This fundamental shift in U.S. policy signals to terrorists around the world a greater incentive to take U.S. hostages," said Rogers. "Further, I have little confidence in the security assurances regarding the movement and activities of the now-released Taliban leaders and I have even less confidence in this administration's willingness to ensure they are enforced. I believe this decision will threaten the lives of American soldiers for years to come." Sen. John McCain, R-Arizona, echoed the same sentiments - "pleased" to have Bergdahl return, but concerned about the exchange. "These particular individuals are hardened terrorists who have the blood of Americans and countless Afghans on their hands," McCain said in a statement. "I am eager to learn what precise steps are being taken to ensure that these vicious and violent Taliban extremists never return to the fight against the United States and our partners or engage in any activities that can threaten the prospects for peace and security in Afghanistan. The American people, and our Afghan partners, deserve nothing less." Rep. Duncan Hunter, R-California, who sits on the House Armed Services Committee, termed the release "fantastic," but indicated concerns remain about negotiating with the Taliban. "There are still questions around the entire operation, knowing what it took to make this happen, but at least for today we can be happy that Bowe is back in U.S. hands," Hunter said. A senior administration official said Bergdahl's release wasn't a concession and was in line with Obama's goal of closing the detention facility at Guantanamo Bay. According to administration officials, Qatar, which brokered the deal between the U.S. and the Taliban, agreed to take custody of the detainees and provide assurances they would not pose a threat to the United States, including a one-year ban from travel out of Qatar. Bergdahl's safe return marks the "nation's commitment to leave no service member behind," said Senate Majority Leader Harry Reid, D-Nevada. Sen. Dianne Feinstein of California, who chairs the Senate Intelligence Committee, supported Obama's decision, "particularly in light of Sgt. 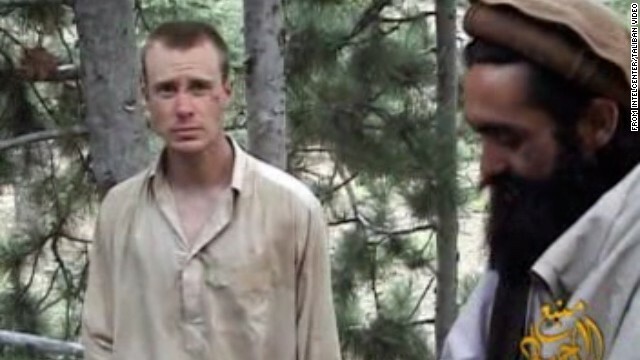 Bergdahl's declining health," she said. "It demonstrates that America leaves no soldier behind." And Gen. Martin Dempsey, chairman of the Joint Chiefs of Staff, said, "Soon we all will celebrate Bowe's freedom and homecoming. It is our ethos that we never leave a fallen comrade. Today we have back in our ranks the only remaining captured soldier from our conflicts in Iraq and Afghanistan. Welcome home SGT Bowe Bergdahl." C.L. "Butch" Otter was more concise. "We join all of Idaho and America in expressing our joy and welcoming this wonderful news," the Republican governor of Bergdahl's home state said in a statement. Republican or not, don't sneak out of a military base and the 5 released Taliban will certainly plan more killings. Let's stick to the facts. Only CNN could take release of Bowie and spin it into a positive Obama move and back up ridiculous statement by Hagel that US didn't negotiate with terrorist. I guess the CNN Obama Propaganda status is well earned. Makes waste of efforts by their real news reporters like Trapper & Grimes. Letting Susan Grimes is fitting since she is know liar from the Benghazi debacle where Obama had no problem leaving brave, fighting US troups to die needlessly. Which is probably the reason this crazy trade of 5 know killer terrorist with US blood on their hands was traded for a US soldier who was at least complicit in his capture by walking off base and who had questionable loyalties – never mind he dint see action or fight in any meaningful way as soldier. Wonder who Hagel thinks Qatar delt was speaking for or is he stupid enough claim Taliban isn't a Terrorist group. Lets forget Qatar plays both sides and is KNOWN supporter of both Hamas and Servants of Allah as well as other terrorist groups. Like any Arab agreement – it has no intention of keeping 5 Gitmo Terrorist out of fight or in Qatar. They are also known liars – maybe Susan can get an honorary citizenship there?